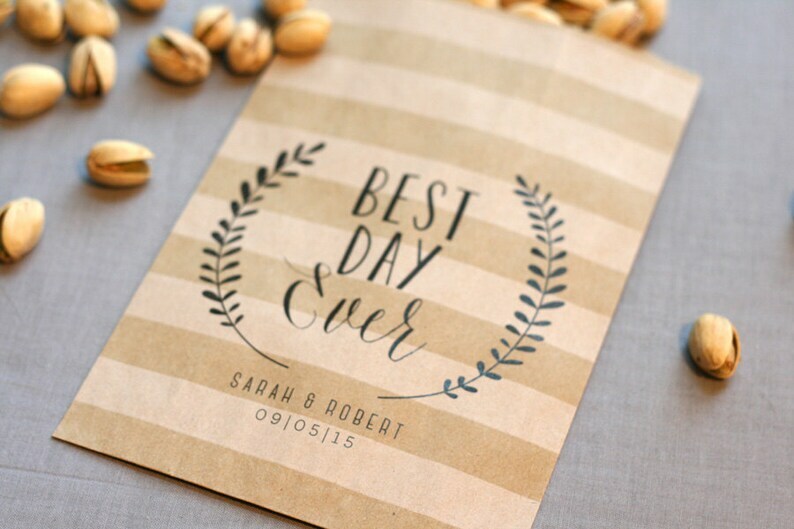 Cute favor bags, adorned with Best Day Ever, for weddings or parties! Personalize it with your names / dates! You'll receive printed, flat, unstuffed bags. Adorn them with your own ribbon, lace, or washi tape! Or purchase my custom printed stickers!